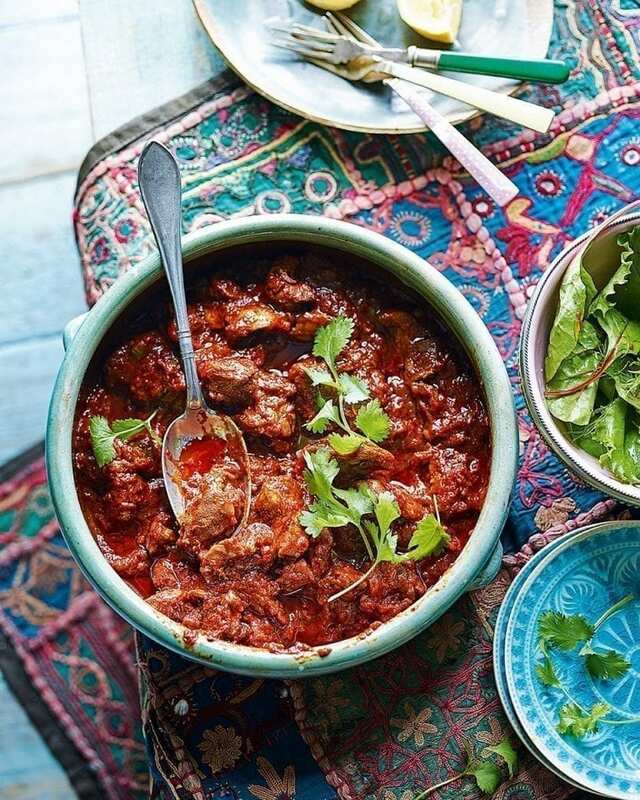 A classic Eritrean dish, zigni berbere is a spicy stew, with ‘berbere’ being a popular spice blend that goes into it. Negat Hussein’s version is best eaten with injera, a spongy-textured flatbread. In a large pan, heat a glug of oil. Add the onions and fry for 5 minutes until starting to colour, then add the garlic and fry for 2-3 minutes more or until the onions are golden. Mix the berbere ingredients in a small bowl and set aside (or see tip). Add the chicken to the onions and fry, turning, until starting to colour. Add the remaining ingredients, including the berbere blend, and simmer gently until the meat is tender (1-1½ hours). Taste, season and serve with the accompaniments. As a cheat, you can buy Bart berbere blend from Waitrose and Sainsbury’s. Cover and chill for up to 48 hours or freeze for up to 1 month. Defrost, then heat.